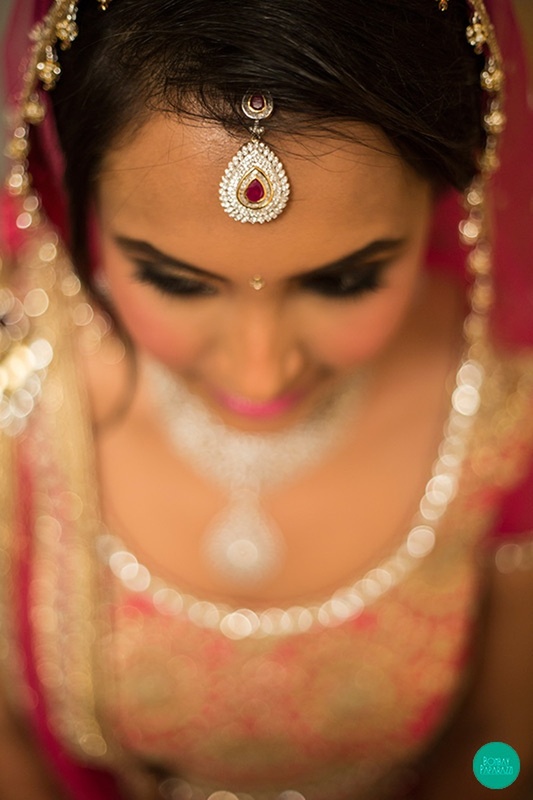 We don’t care how cliché it sounds but Diamonds really are a girl’s best friend! 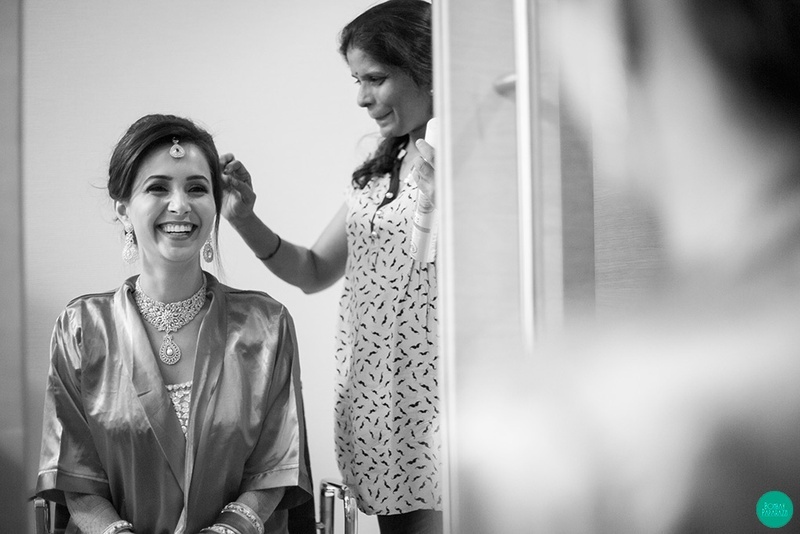 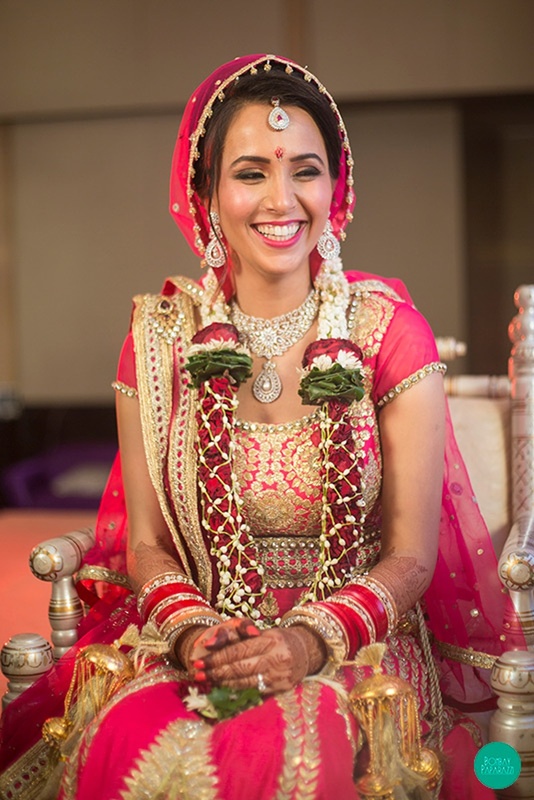 This gorgeous bride, Neeti proved that diamond jewellery is a perfect translation of understated grace and exquisite style for the modern bride. 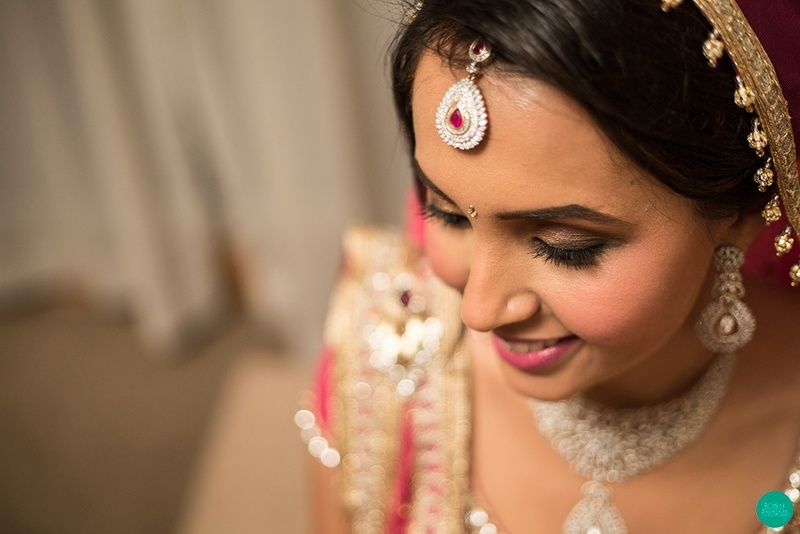 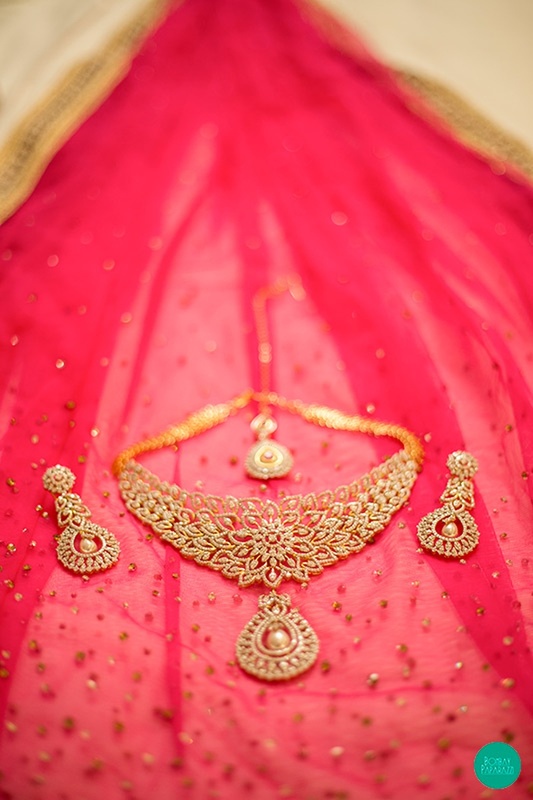 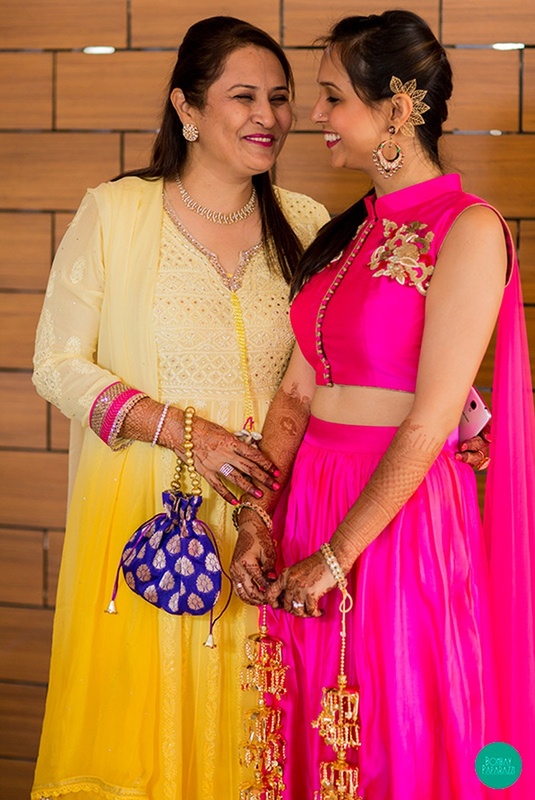 The floral inspired diamond necklace that sat perfectly on Neeti’s neck paired with matching earrings and a delicate drop styled maangtikka had this gorgeous bride looking like a modern Indian princess. 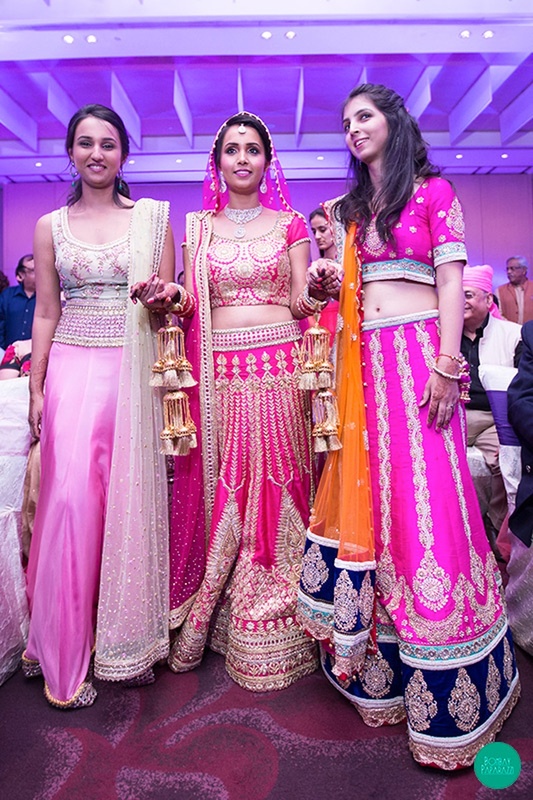 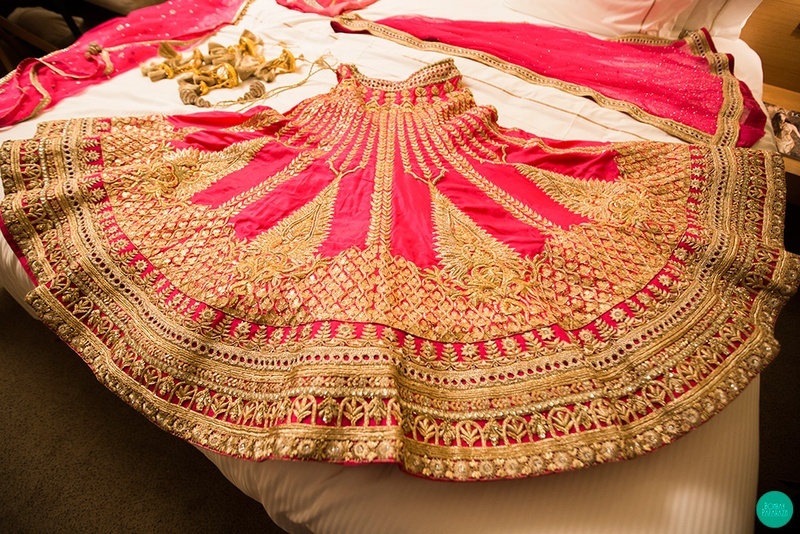 And her pink and gold kalidar lehenga only added to the royal vibe. 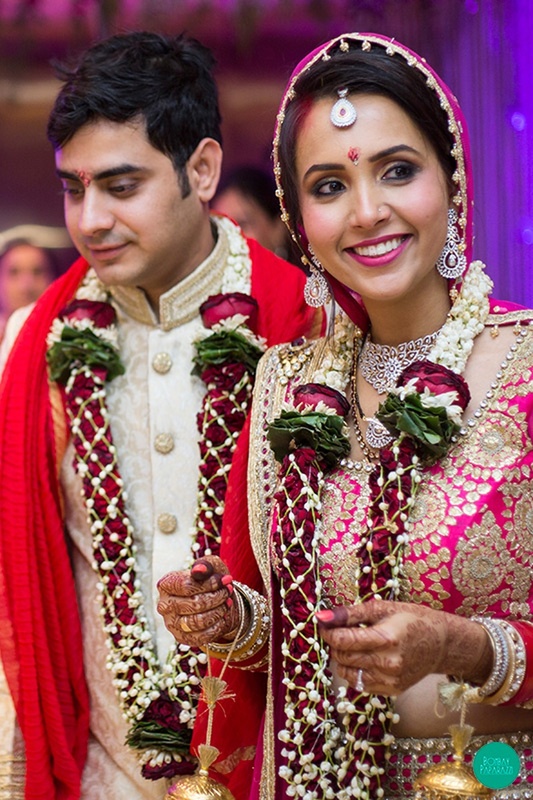 Her uber dapper groom Abhay followed suit in his white textured sherwani that had stylish gold button details. 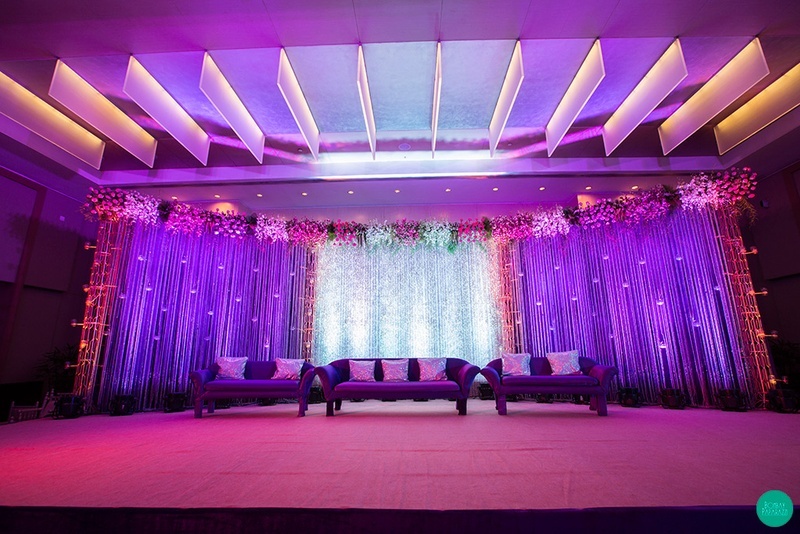 These attires paired with an opulent indoor space lit in hues of purple with dainty tea lights and glass strings hung beautifully in the background – Every element at this wedding was done with exquisite taste. 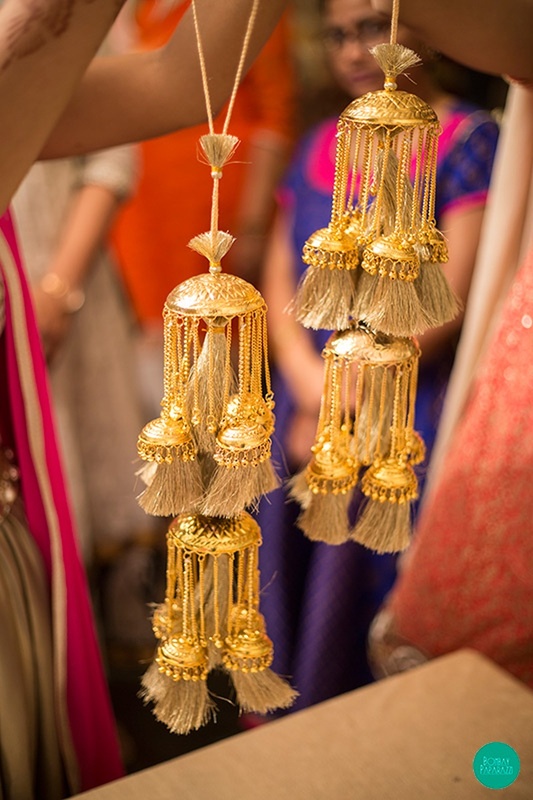 And how is any décor set up complete without flowers?! 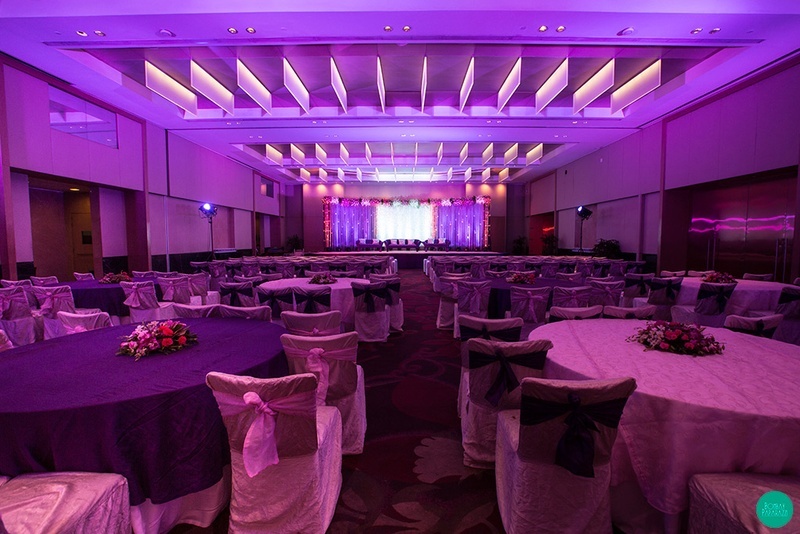 A clustered floral arrangement was a perfect fit with the glass strings and lights that reflected back the regal purple color. 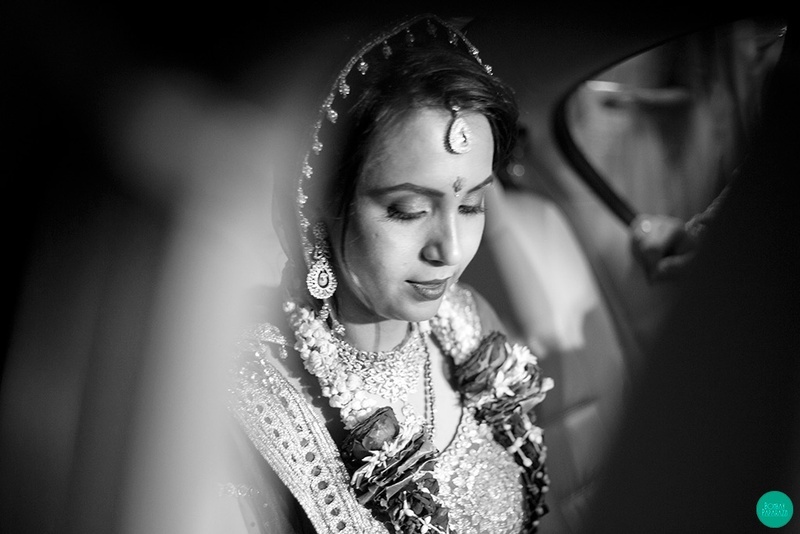 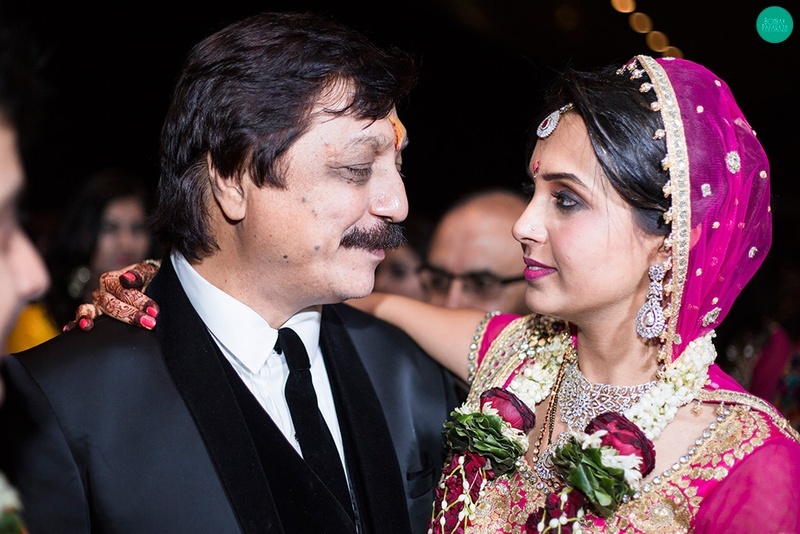 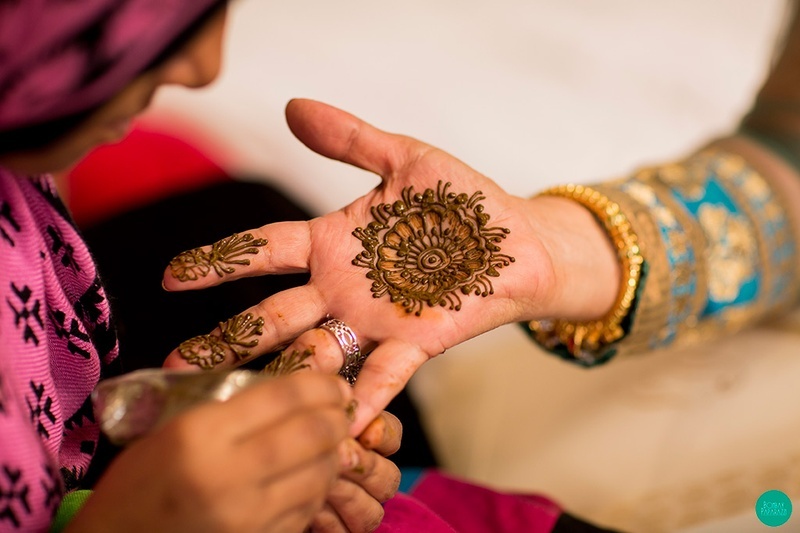 If you’re looking have your pictures speak of class, style and emotion too, pick Bombay Paparazzi to shoot your big day! 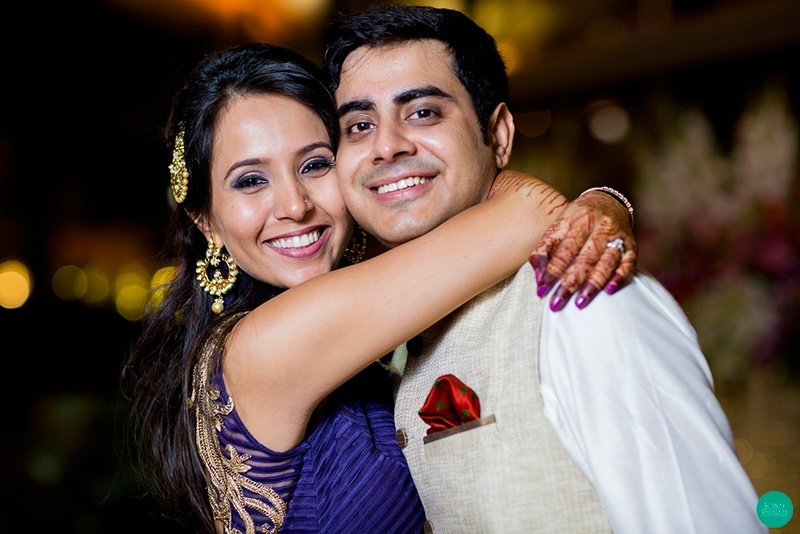 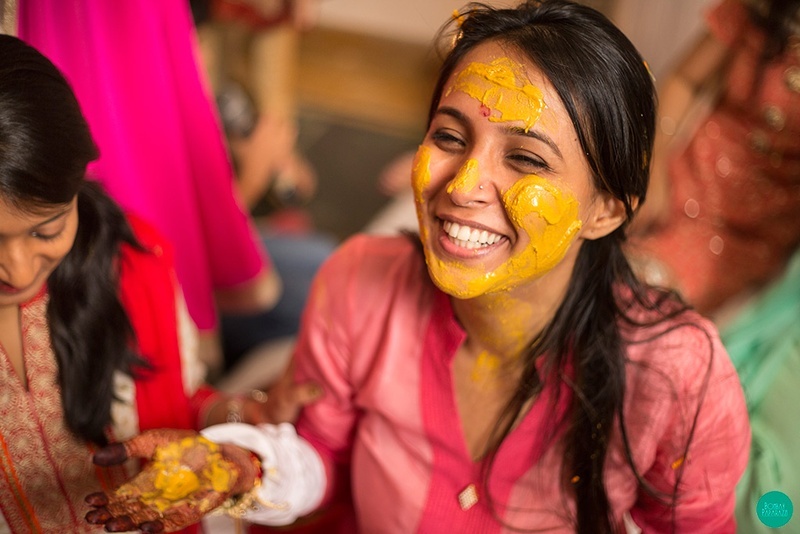 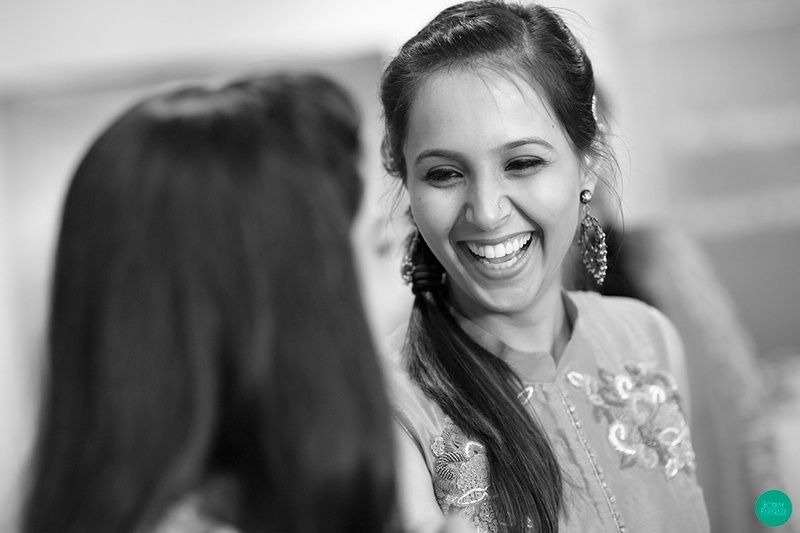 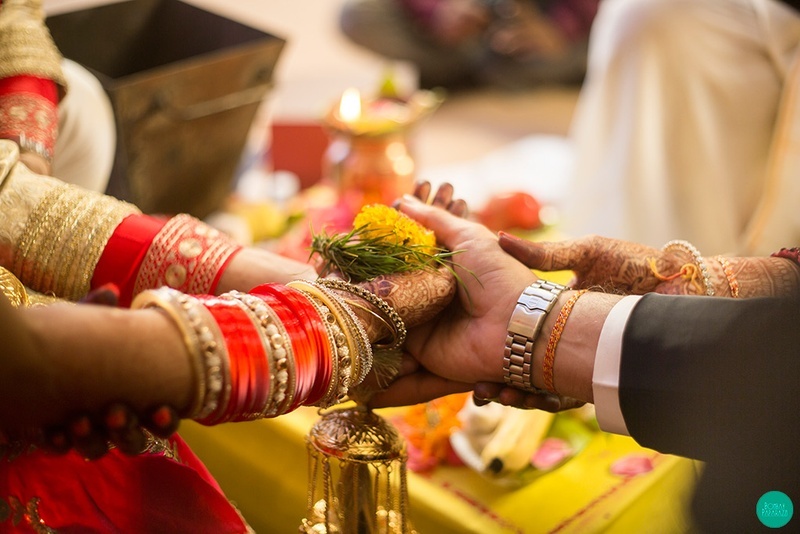 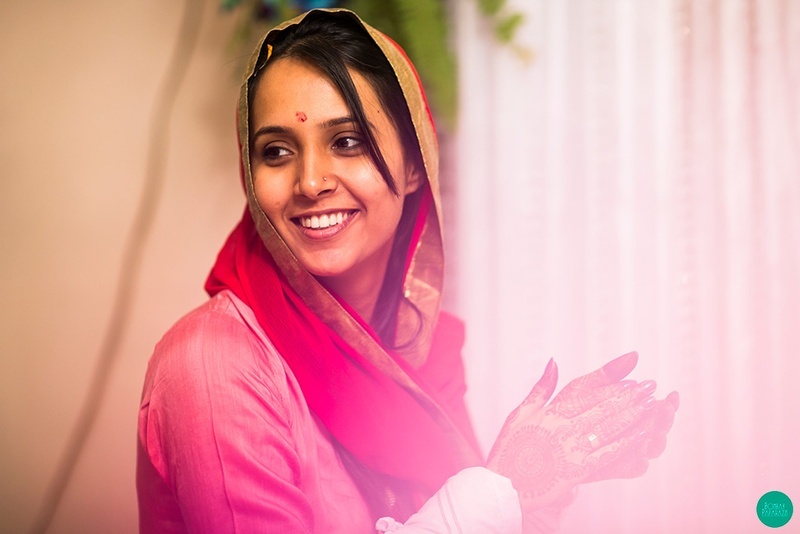 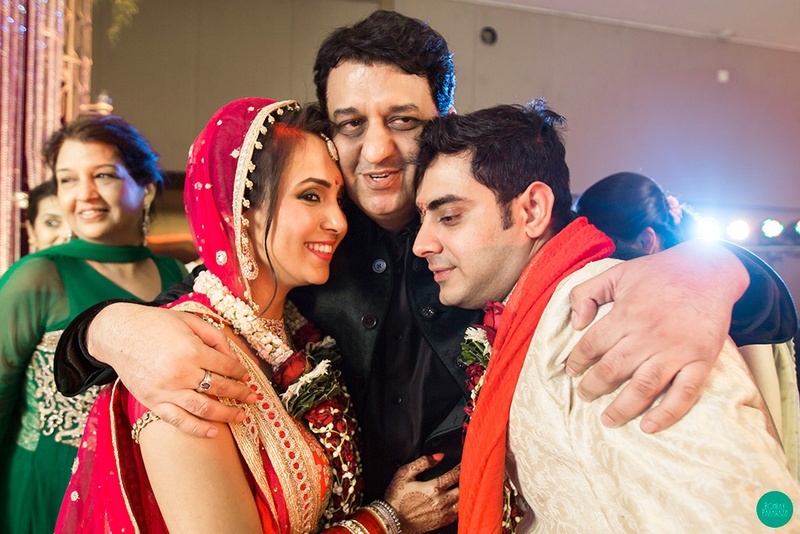 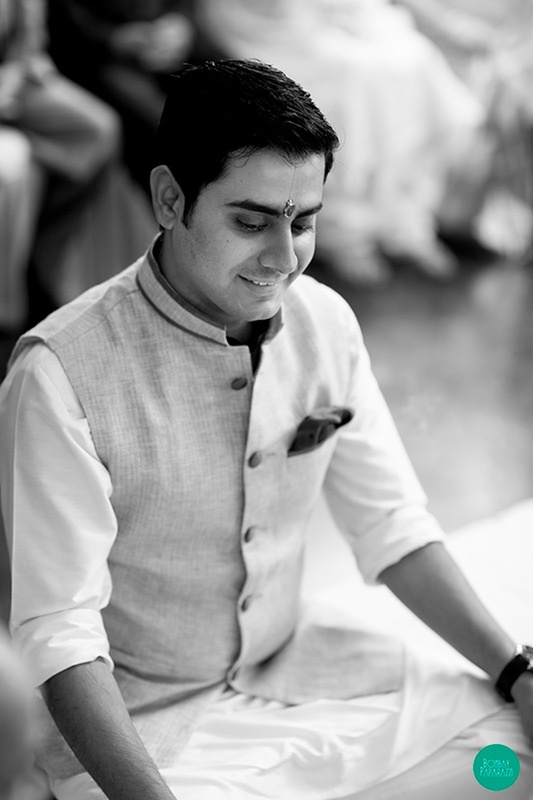 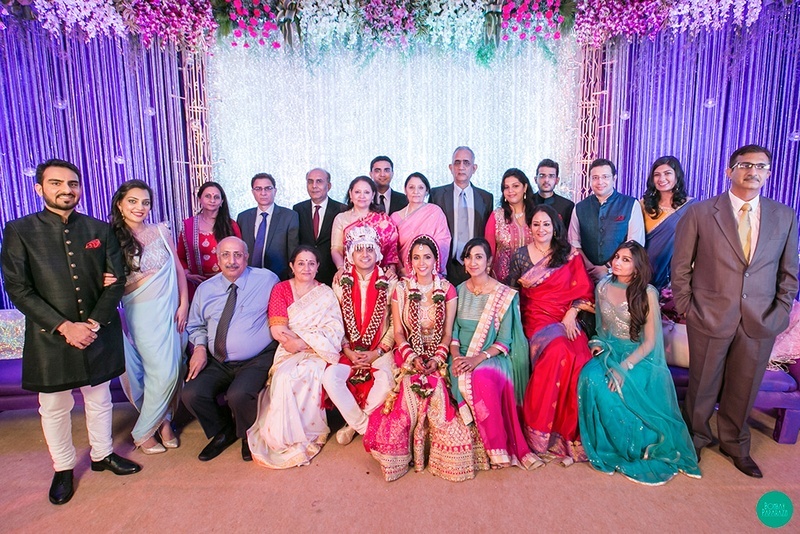 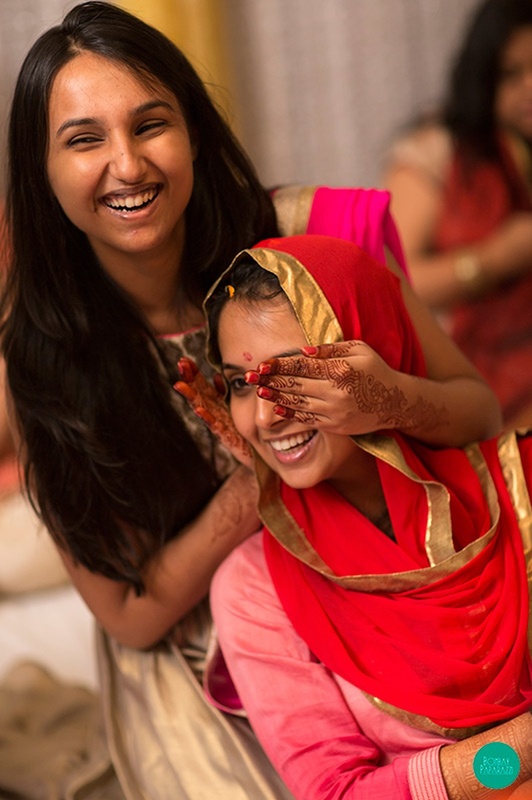 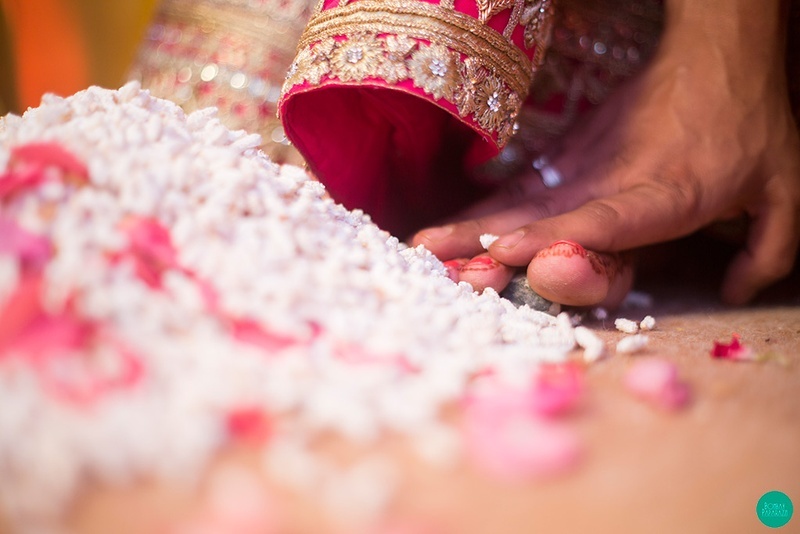 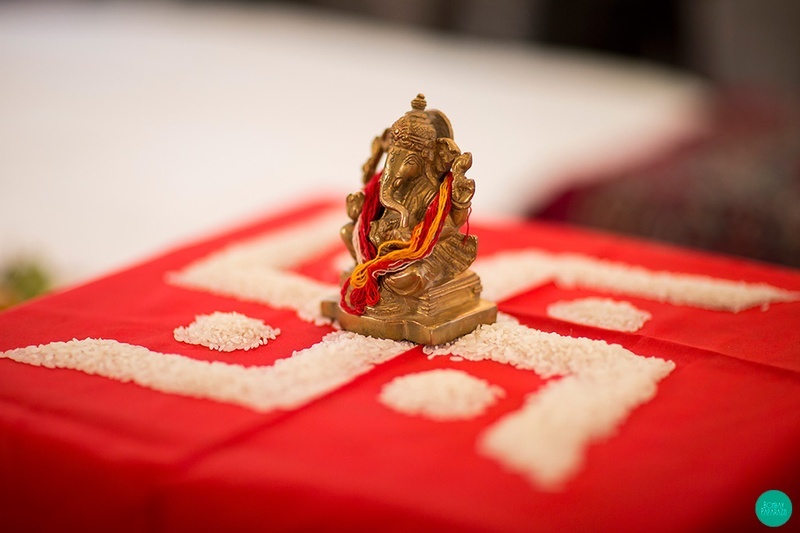 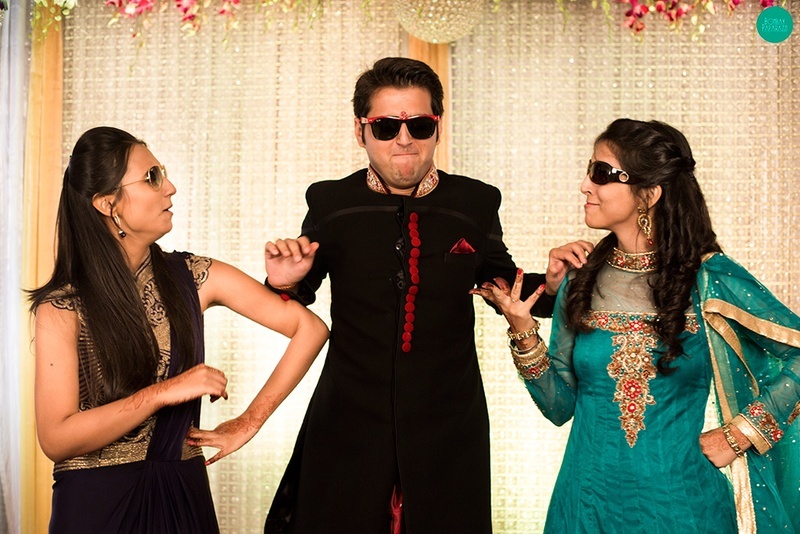 Neeti and Abhay’s wedding album proves their sheer talent in capturing every candid moment oh-so-perfectly. 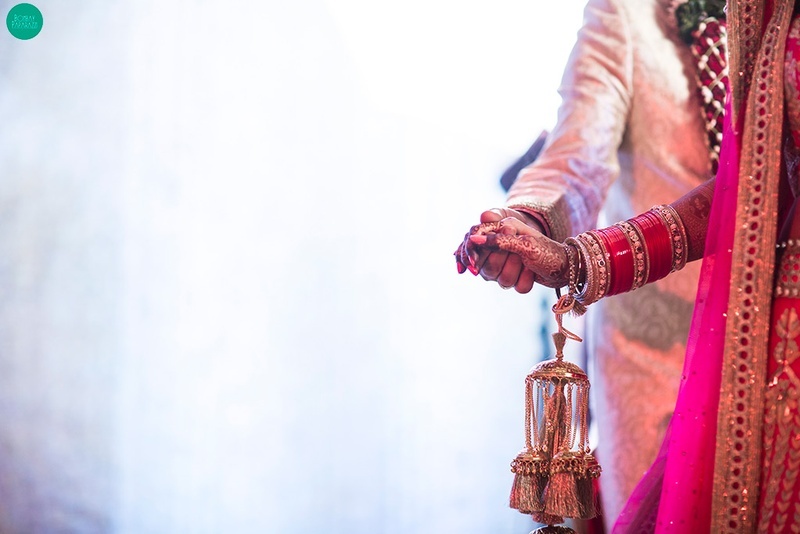 Whether it was the sweet gazes exchanged between father and daughter or the super romantic “dulham hum le jayenge” shot with Neeti in Abhay’s arms. 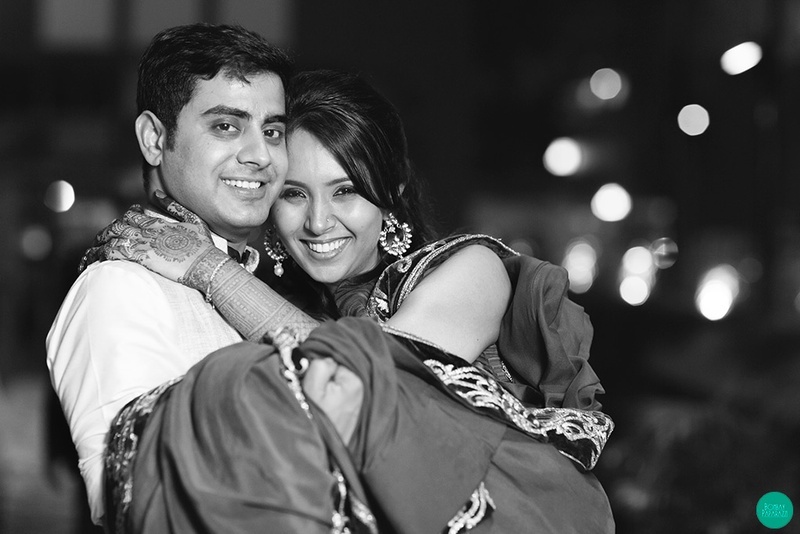 They truly did a brilliant job.